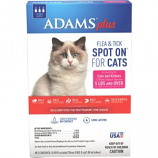 Kills fleas deer ticks flea eggs and flea larvae. Kills and repels mosquitoes. Long lasting. Starts working on contact. For use on cats and kittens 5lbs and over. 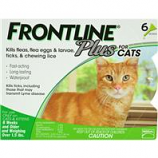 Kills fleas deer ticks flea eggs and flea larvae. Kills and repels mosquitoes. Long lasting. Starts working on contact. For use on cats and kittens over 2.5lb but under 5lbs. 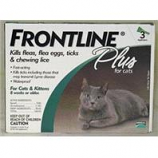 • Effective Long-Term (3 Months) Control Of Fleas, Ticks, and Lice On Dogs, Cats, Pet Bedding and Pet Areas. 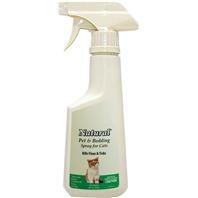 • Spray Cats and Dogs Heads, Ears and Chest Until Damp. • With Fingers Tips, Rub Into Face and Around Mouth, Nose and Eyes. • Do Not Use On Puppies Under 6 Months Old, Or Kittens Under 7 Months Old. • Repeat Every 3 Months. 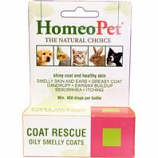 • Effective Long Term (3 Months) Control Of Fleas, Ticks and Lice On Dogs, Cats, Pet Bedding and Pet Areas. For both indoor and outdoor cats and kittens 8 weeks or older. Kills adult fleas flea eggs flea larvae ticks and chewing lice. 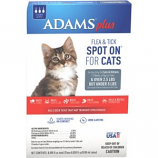 A single dose effectively stops flea infestation and prevents re-infestation for one month. . .